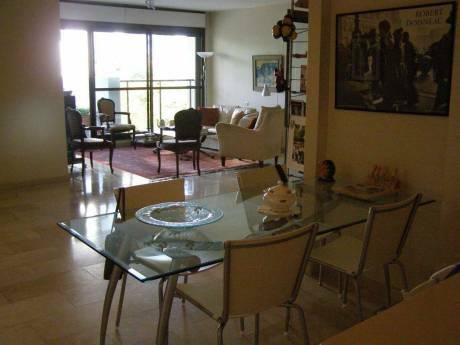 Lovely modern corner property in a new neighbourhood, close to the seaside town of Netanya. We offer a new modern 4 bedroom house, one of the bedrooms is a study, the other has a fold up bed with double wardrobe and drawers, plus dressing table, there is a third bedroom and the main bedroom has a double bed with matching bedroom furniture and ensuite bathroom/showerroom. 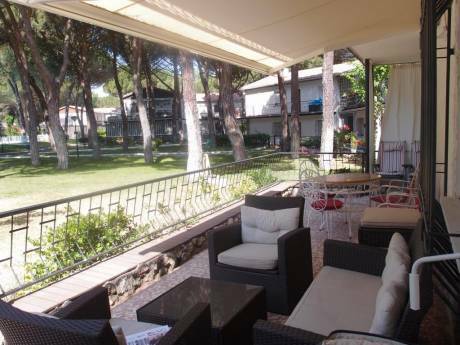 There is a living room which is open to the kitchen and dining area, where all the family can eat. It has the usual Mediterranean ceramic floors, and air-conditioning which cools and heats. We are a couple in our sixties and we are just starting to slow down. Annette is a Private Secretary and also involved in Japanese Wellness and Energy Medicine and hubby Frank is a self employed contractor. We are looking to spend more quality time with our sons and family in London thus interested in as long a term as possible swap time! Lovely modern neighbourhood with new houses, great for young and old, suits everyone. 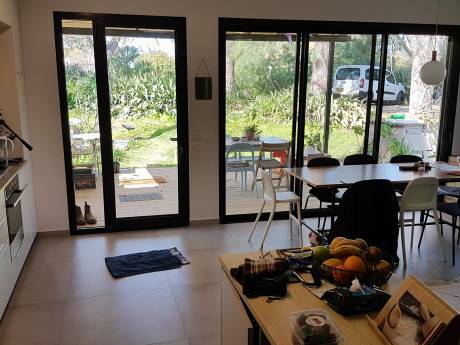 Fifteen minutes by car to the Mediterranean Sea on the Netanya coastline, beautiful clean beaches, bustling seaside town, outdoor restaurants and cafes open till the early hours. Local shops and new shopping center, cafes, restaurants and excellent services given by the local council.